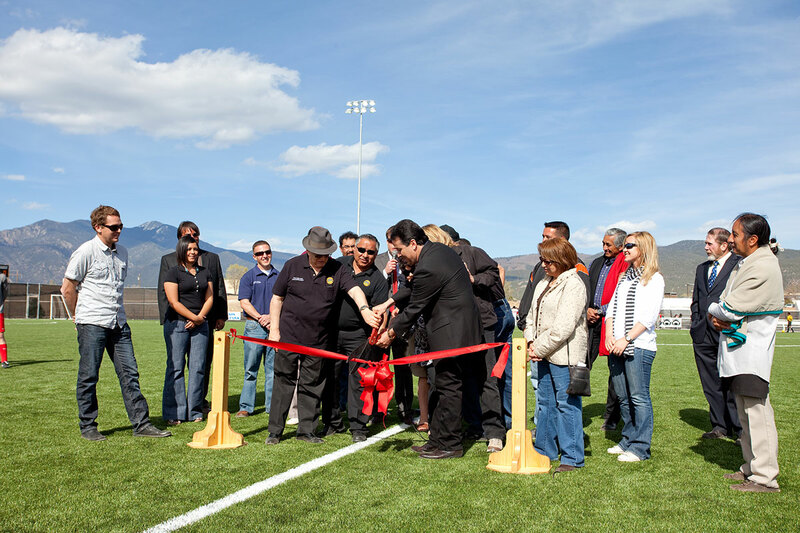 Sponsored through a partnership between the Town of Taos and Taos Municipal Schools the Alexander Gusdorf Eco Park was a milestone in collaboration for the entire community. 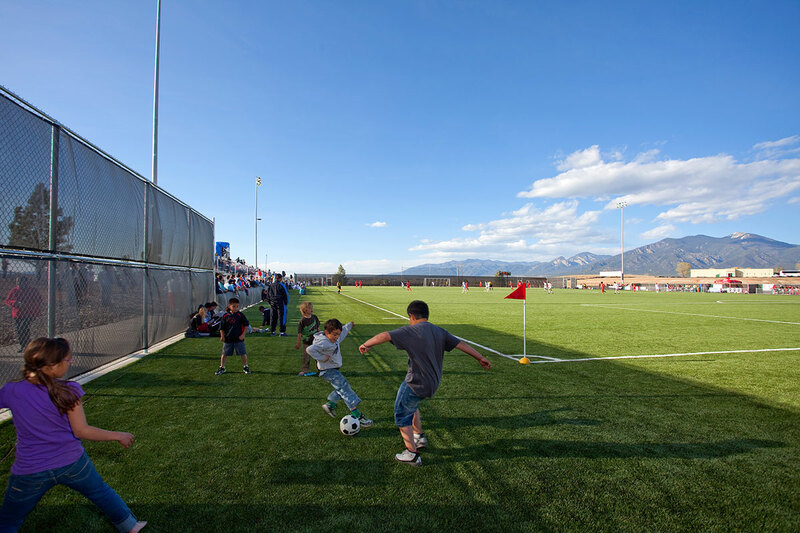 Living Designs Group Architects facilitated the process and created a phased master plan for the 7-acre site. 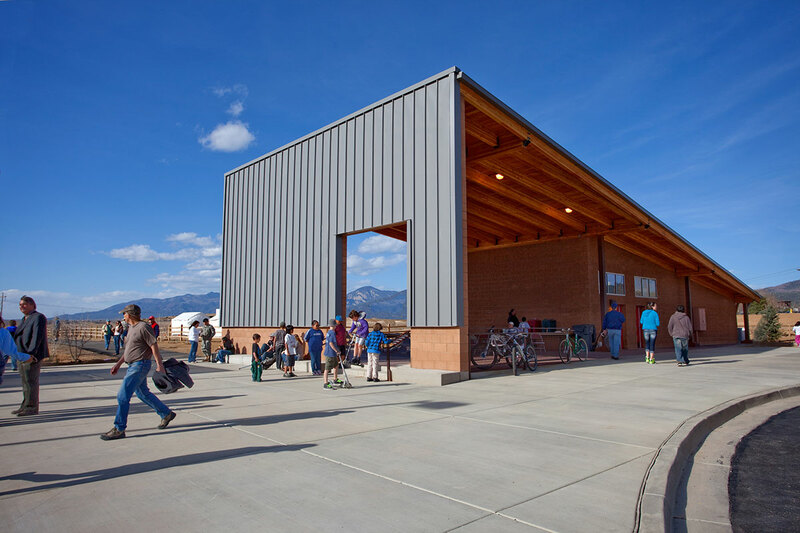 At 7,000ft in elevation with 300+ sunny days a year the project offered not only a perfect training climate, but also a great opportunity to develop a world class facility coupled with sustainable strategies for water catchment, reuse, solar power, and green building in Taos, New Mexico. 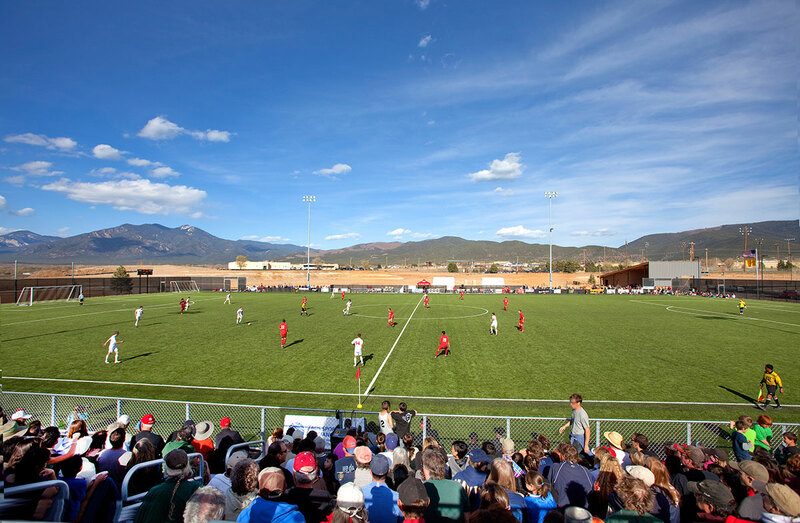 With a strong form of a single slope roofline, the building and the solar parking lot shade structure frame the green pitch and create the heart of the Facility. 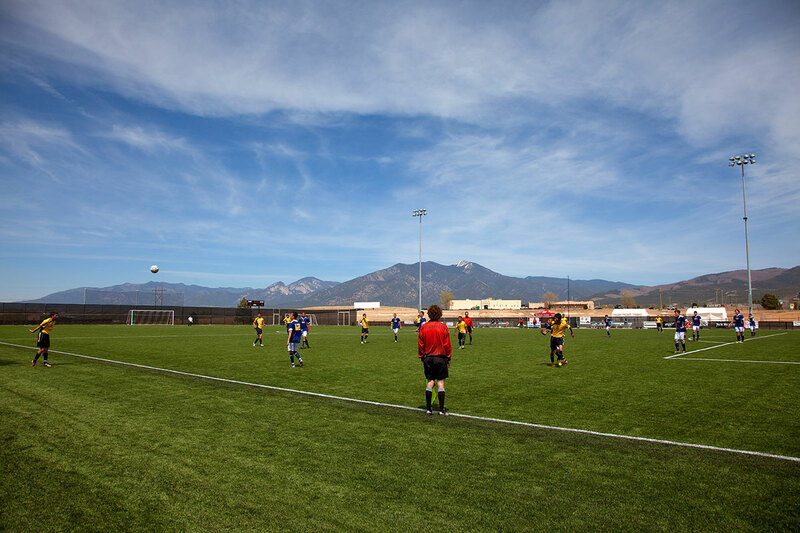 The first FIFA-regulation turf field, grandstands, stadium lighting, parking, restroom facilities and landscaping were completed fall of 2010. 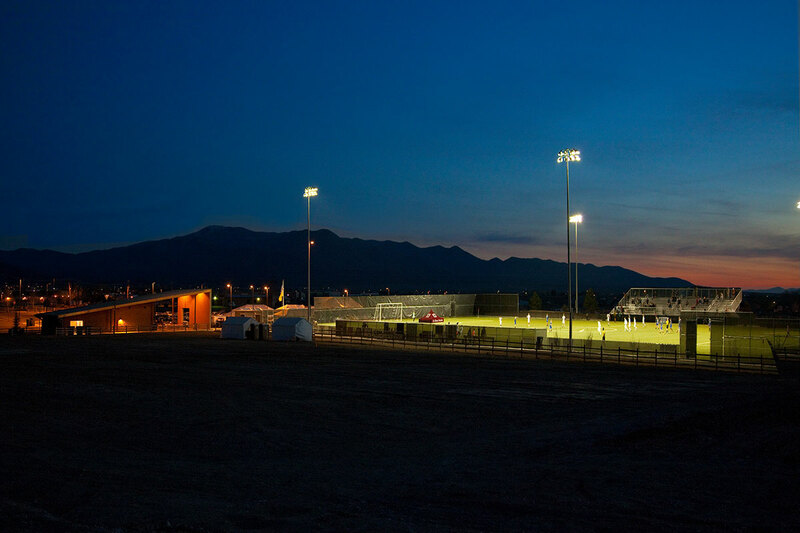 The 60 Megawatt Solar Shade structure followed shortly after.